There are many choices for women sailors from beginner to pro racers on Okanagan Lake. For beginners looking to start sailing and potentially race in various Race Night Series or Regattas, it is recommended you join a basic sailing program available through the Kelowna Yacht Club or many other locations in BC. The Sailing Clubs linked below also offer Dinghy Sailing lessons and Power Squadrons offer great instruction on all things related to boating. 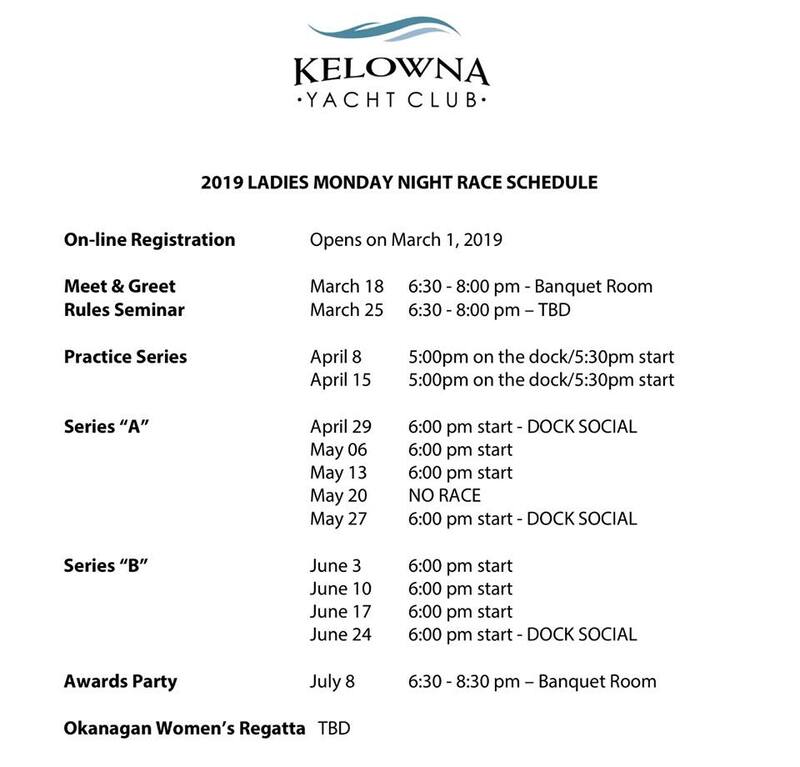 Monday Night Women’s Keelboat Race Series at the Kelowna Yacht Club and Tuesday Night Women’s series at the Vernon Yacht Club offer great opportunities for women to hone their sailing skills and practice racing. Okanagan’s Sailing Clubs SOSA, COSA and NOSA also offer great learn to sail to advanced level racing programs with top level regatta opportunities. Kelowna also has an incredible Adaptive Sailing Association of Kelowna program that runs through the Kelowna Yacht Club. Check in here for updates on the July 13-14, 2019 Okanagan Women’s Regatta.